William C. Hart & Co. at 137 Greene St., New York City, were preceded by Hart & Zugelder at 67 Greene St., New York City, who were preceded by Hart & Zugelder in Rochester, N. Y., who were preceded by Henry L. Hart, Printers' Rollers in Rochester, N. Y. This ad for Henry L. Hart dates from 1881, when Hart was located on N. Water St., Rochester, N. Y. In 1870 Henry L. Hart was an engineer, working for Curtis, Morey & Co., publishers of Rochester's Daily Union and Advertiser. He seems to have worked for the Rochester Union and Advertiser approximately 1870 to 1881, then to have set up his own business manufacturing printers' rollers. Henry L. Hart was in business in Rochester from 1881 through 1894. In 1895 this business was succeeded by Hart and Zugelder, but the Hart in Hart & Zugelder was not Henry L. Hart. Rather, it was his son, William Cathrope Hart (1874-?). This ad for Hart & Zugelder appeared in the Rochester City Directory for 1895. William C. Hart appeared in the 1900 U. S. Census living at 58 Chestnut St., Rochester, N. Y. He was 25 years old, born August 1874. Recorded in the same census was his partner, Joseph Zugelder (1844-1915), 55 years old, born Sept. 1844. Joseph Zugelder fought in the American Civil War. He enlisted in 1863 and was mustered out, age 20, 20 Dec. 1864. He was listed in Rochester city directories from 1868 to 1914. The 1915 directory indicated he died 10 April 1915, age 71. Prior to his partnership with William Hart he worked alongside Henry L. Hart as a printer at the Rochester Daily Union and Advertiser. 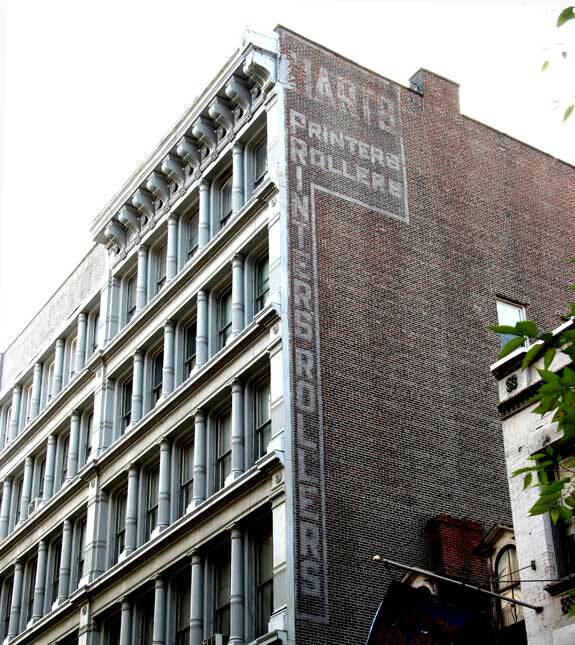 In 1914 Hart & Zugelder opened a branch of their business in New York City at 67 Greene St. This ad for Hart & Zugeler appeared in the Printing Trades Blue Book, Greater New York Edition, 1918. Hart & Zugelder became William C. Hart Co. Inc., later the same year, when they moved to 137 Greene St. They stayed at this location until approximately 1960, when they left Manhattan and set up a factory at 236 25th St., Brooklyn. They stayed in business at that location for another 30-some years, finally closing in 1997. This ad from 1922 indicates that William C. Hart had a third location, in Pittsburgh, by that date. "Established 1876" probably exaggerates slightly Henry L. Hart's original business, but directory listings are not always entirely accurate either.